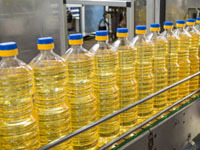 TRANS-OIL GROUP employs 1 650 people, primarily in sunflower oil production, as well as in farming, origination and logistics which are all entirely owned and operated by the GROUP. Crushing Oilseeds to make oil for the food industry and meal for animal feed. In Moldova, we own and operate two oilseed crushing facilities with full refining and bottling capabilities. Our pure sunflower oil brands, such as “FLORIS”, are leaders in the local marketplace and are increasingly expanding internationally to supermarkets in Asia, Africa and the Middle East. 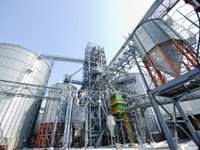 Grains & Trading – TRANS-OIL GROUP is the leader in Export of grains and oilseeds in Moldova.The GROUP has inland storage capacity of 750,000 MT spread among 14 elevators. Export Terminals- TRANS-OIL GROUP provides grain, oil handling and transshipment services, both internally and to third parties, through Reni, Reni-line and Giurgulesti terminals. 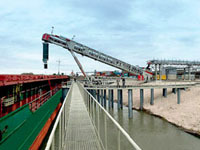 The total throughput capacity of the three terminals is 2,4 MMT per year. 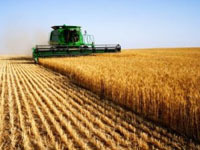 Farming - TRANS-OIL GROUP is the Nr.1 agricultural producer in Moldova, by holding more than 60 000 hectares of high productive farm land in long-term leases. The farms are located mainly in the North and South regions. The GROUP employs about 1,650 people throughout all agri-business functions. The breakdown per function is as follows: Origination – 100 employees; silo storage services – more than 600 employees; oil seeds crushing plants, two production units – 1’600 mt capacity and about 700 employees; and loading port facilities – 350 employees (3 units in Giurgiulesti and 2 in Reni).